As the Curriculum Director of our school, I have the honor and pleasure to announce the arrival of Dubspot’s brand new three level Maschine program, designed and developed by our own Heinrich Zwahlen and Matt Cellitti. I honestly couldn’t ask for a better team to have creating this program and I am confident that it will fulfill the need and want for high quality training on Native Instruments MASCHINE‘s hardware / software combination. Like many of you, I’ve been watching Cellitti’s Maschine tutorials on our YouTube channel and patiently waiting for this program to be announced and classroom-ready. 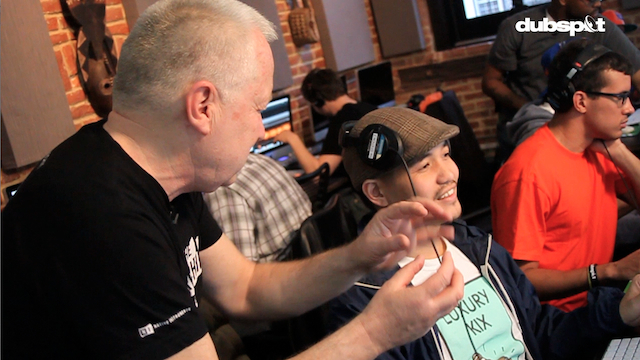 The classes will be available in our school in New York City and at Dubspot Online. Start dates and information about payment plans can be found here. Native Instruments Maschine redefines hardware and software integration for music production and creative performance. Upon completion of this program, you will have written a full original track using multiple plug-in instruments and effects, produced a remix based on rearranged source material with your own musical additions, and made recordings of yourself improvising with both projects while creating break downs, build ups, and effect manipulations. 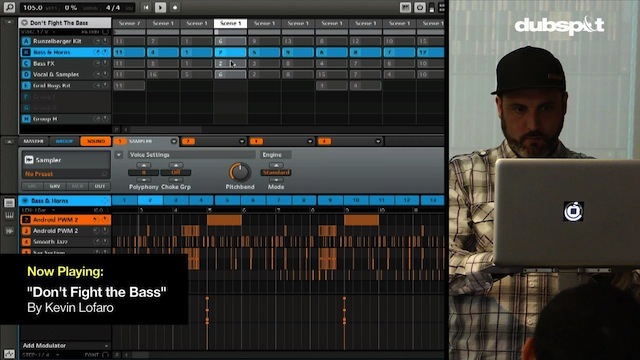 Learn all basic functions of Maschine’s hardware and software while exploring the different methods of beat making. 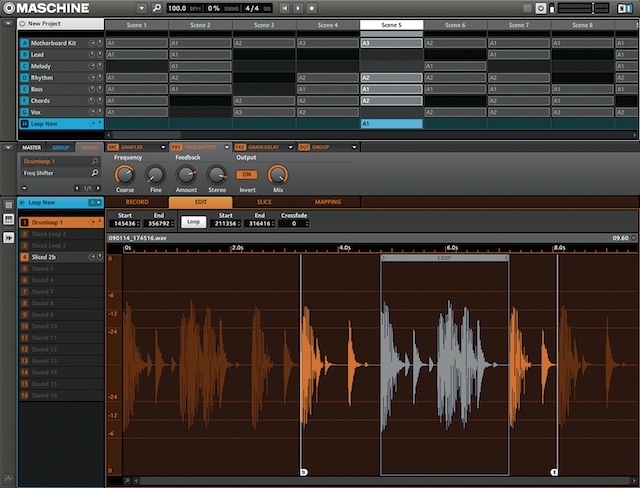 Merging performance with composition, we practice how to program MIDI drums in an improvisational manner. Getting to know the Library and how to load sounds quickly is key for a good workflow as well as the ability to write automation in a fluid and hands on way while looping patterns. We show how to use the sampler controls for basic sound shaping and add some of the main effects such as delays, reverbs and various saturation/distortion types while creating simple drum tracks. In this level we will first focus on the sampling section of Maschine, starting out with some old school loop-slicing so we can map individual hits of a loop to the pads in the fastest and easiest way. We discuss the different options of mapping to pads or across the keyboard while loading samples from disk and various sound libraries. Then we proceed to record into Maschine, first from within the computer and then from external sources. Sampling can also be used as a production tool when we resample Maschine’s own output from the master, group or sound level. As we learn more about using and creating instruments we move from recording drums and bass to creating some additional musical parts while using new sound design tools and effects. The addition of plug-ins will take Maschine in a totally new direction as a synth controller and sequencer. On this level, Maschine becomes much more of a musical Instrument suitable for the real time creation of any type of MIDI based composition. First we revisit the free Komplete Elements and use also TAL Juno to introduce a classic subtractive synth. We are focusing on the new sound parameters and controls to give students full use of the instruments while giving them an introduction to a wider world of synthesis. This level is also teaching more advanced production techniques and showing different drum styles and how to work with less standard time signatures. In the same lesson we are also showing some simple methods for arranging a track out of a loop and creating DJ friendly tracks. For sound design and mixing we are creating more complex effects chains and racks as well as showing alternate routing options. On the performance side, we give some practical advice for seamless live playing and sequencing, along with some live remixing techniques. Integrating Maschine in the workflow of a DAW is of big interest even for many experienced producers so we will give the definitive guide explaining all the options in Class 3. We conclude the course by showing how to use and customize the included Controller Editor to use Maschine as a MIDI controller with Ableton, Logic or to control Synths in standalone mode or as plug-ins in the DAW. The buzz around the school is growing louder everyday about this new program, and that’s coming from students, teachers and staff alike. I, for one, am thrilled to really learn the ins and outs of Maschine and, furthermore, to learn from experienced and equally excited teachers. But most of all, I’m happy that you will soon be able to have the same experience. Until then, keep watching the Maschine tutorials already posted on our blog and look out for the stellar ones soon to come.